Happy Monday! So let’s kick this week off with a beauty review. The older I get the more I pay attention to my skin and the products that I use. My skin type is extremely oily and I suffer from adult acne so it is important that I have a great face wash. I purchased this Clean & Clear Face Wash from my local Walmart and I think now is the perfect time to share my thoughts with you all so keep reading for all the deets. Hello Beautiful People! 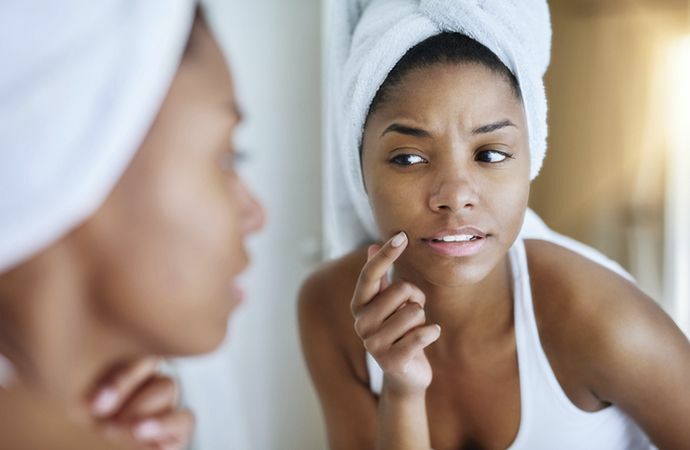 Having to deal with breakouts at any age is a nightmare. If you have been following me for a little while then you know a little about my skincare journey but if you are new to Chantel Keona then I welcome you 👋🏽 and will give you a little quick background. When I was younger (teenage years) my skin was very clear I hardly ever had breakouts and every month or so I would get a pimple here and there thanks to mother nature but besides that my skin was pretty good. Also I only use to wash my face with Dove soap and I never exfoliated or used any kind of special face washes-now granted of course I wasn’t wearing nearly as much makeup as I wear now that I am in my 30s.